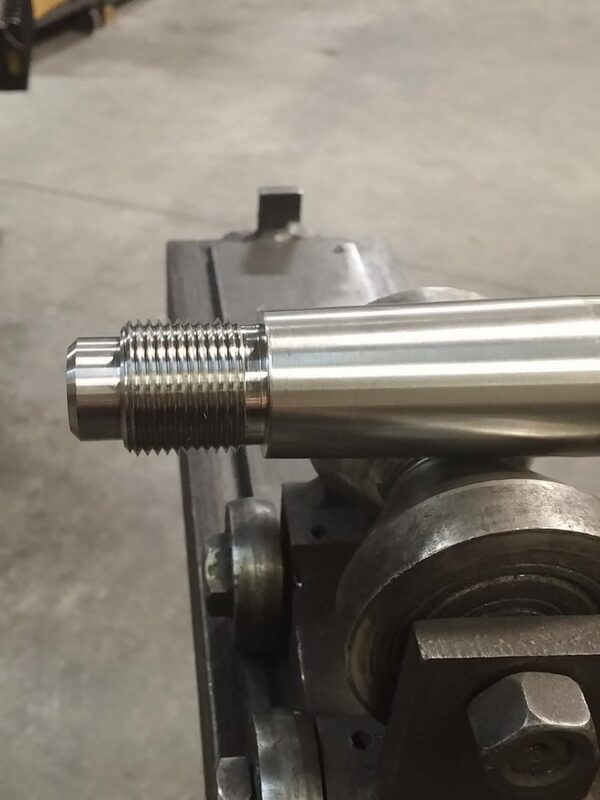 Aqualoy 19 provides better corrosion resistance than 17 and is used on fishing boats including shrimpers, trawlers and the like. 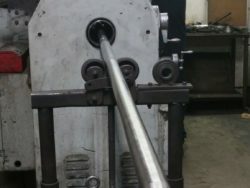 It is also used on pleasure crafts. 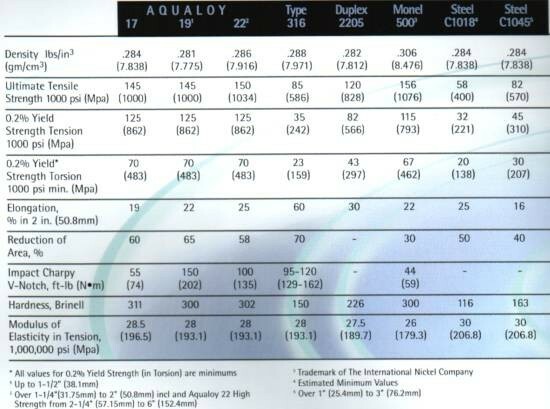 Aqualoy 19 provides superior toughness and strength, and Aqualoy 19 shafts are competitive with most carbon steel shafts since the latter are fitted with sleeves and are frequently covered with fiberglass. 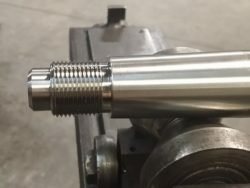 With 19, there is no need for such sleeves or fiberglass, and smaller bearings and stuffing boxes can be used, resulting in lower overall cost. 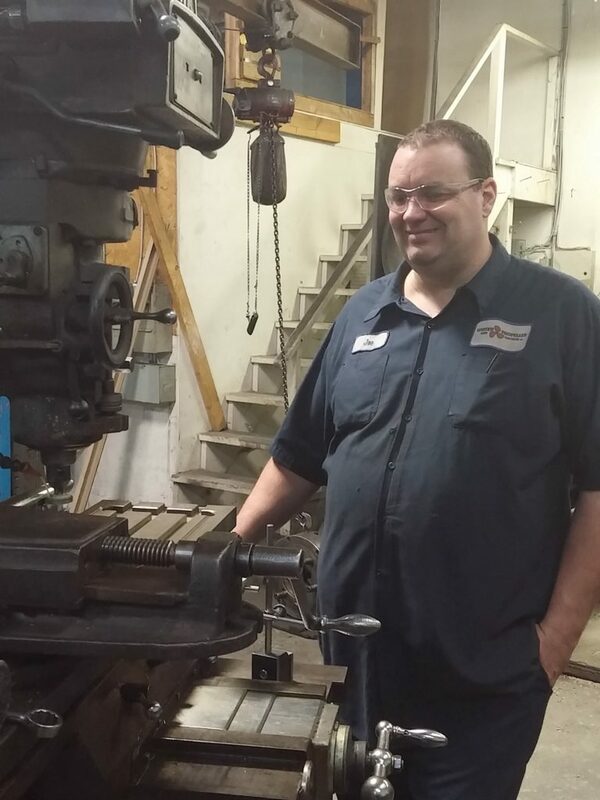 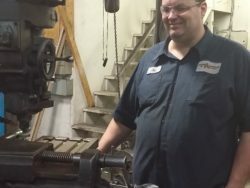 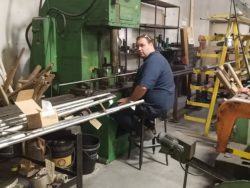 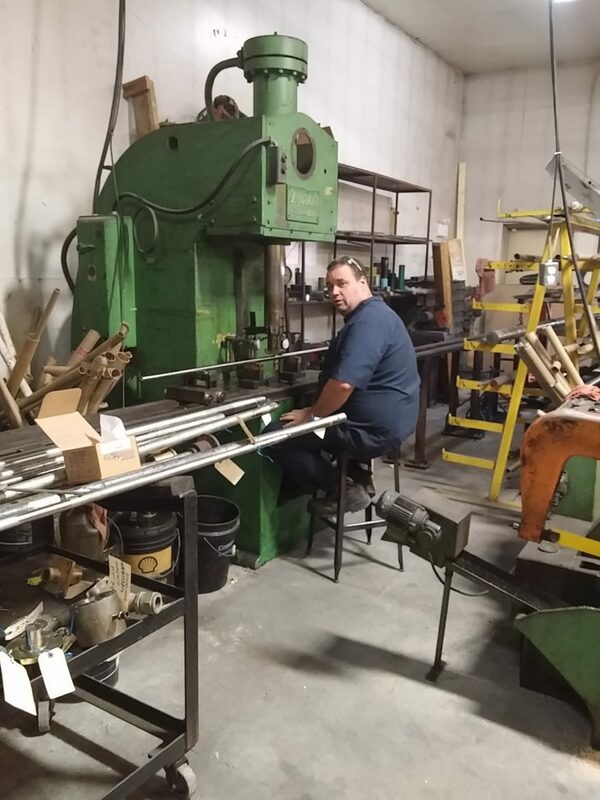 Joe straightening a shaft (new bar stock is straightened before machining a new shaft). 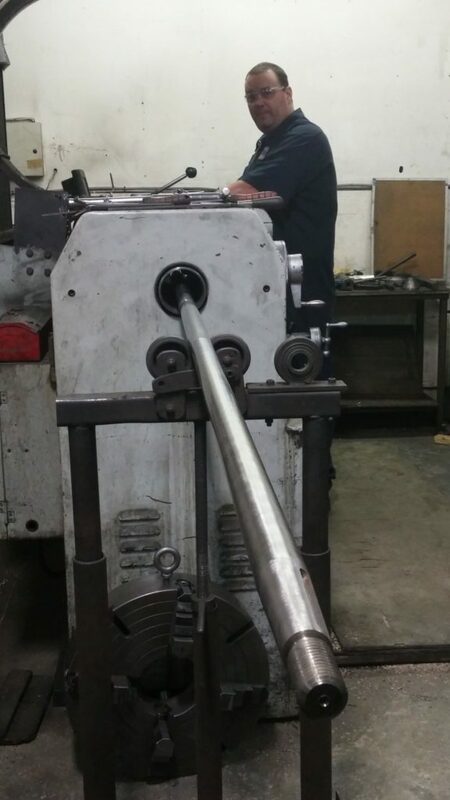 Also we straighten existing propeller shafts that have been damaged.